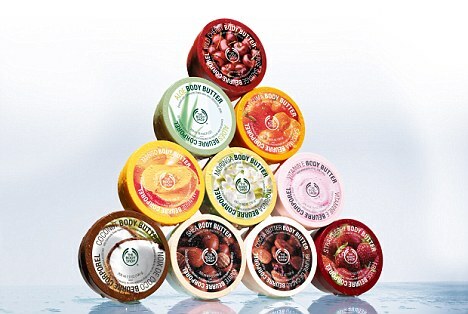 This may seem like an obscene amount of body butters, but what can I say- ist fruity, ist hydrating- I can’t resist! Just a warning for the few who haven’t used these, they do leave a greasy film on the skin; however, if you wait a few minutes before getting dressed you won’t end up with a greasy mess. Not to mention their fragrances are strong, although they do fade after a while they never completely fade leaving you smelling scrummy. On to all the options! Mango: My absolute favorite! Fresh and sweet, just like mango ice cream- delicious! Strawberry: If you want to smell like an actual strawberry this is it. Also mixes well with the mango for fruit overload. Cocoa: Not my favorite as I found it quite sticky. More of a winter scent with a strong (and true!) chocolate scent and caramel undertones. Coconut: I feel like Coconut is one of those scents- you either love it or you hate it.... Thoughts? I personally love it every now and then- if you are looking for a cream with a true coconut smell which doesnt have that sickly fake smell this is super yummy. Hope this helps! As mentioned before this works wonders on exema and other dry skin. Putting it on your feet before putting on socks before bed is also a miracle worker for cracked heels. Any other favorite body butters I need to try? More to come on the Soap & Glory Body Butters! Tag: Products I’ve Used Up!